And by popular, I don’t mean best. In fact, a couple of these beaches would not be impressive put up against beaches from other parts of the Caribbean. 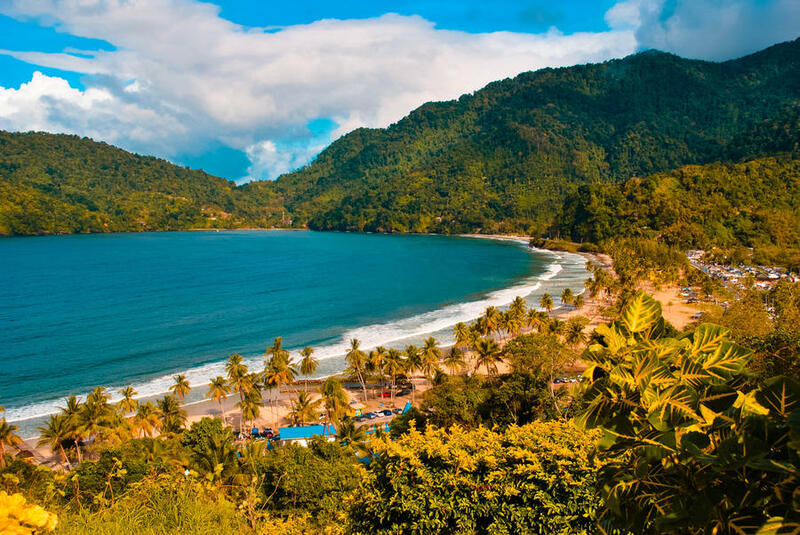 But if you want to see how real Trinbagonians live, and want to experience the beach ‘lime’ (Trini word for hanging out with friends) with us, these are the beaches you’ll find most Trinbagonians have been to at least once. Some of them will be crowded, especially on hot days, but others will be fairly quiet, and all have the distinct advantage of offering a cross-section of Trinibagonian life. This is, of course, my own personal list, not official in any way, and other Trinis are free to love other beaches. Please note the pictures here are NOT my work and are taken from around the Web to illustrate the list, nothing more. Chaguaramas (SHA-gor-RA-mus) and Carenage (CA-ren-NARGE) are the go-to beaches for the everyman. Busy city dwellers in the north-west of Trinidad will often go there, especially if they don’t own a car and/or live on a budget. Bus service runs regularly from the capital of Port-of-Spain to the last beach in Carenage every day, making access easy. In recognition of that fact, the government recently invested heavily in the area, beautifying it with the popular boardwalk pictured above. 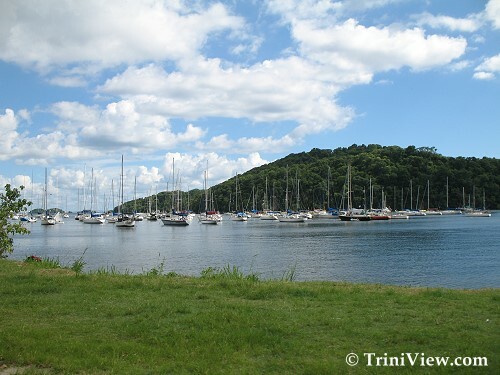 Carenage Bay, as you can see from the picture below, is a popular harbour for yachts. Their presence, and the run-off from the villages and industries around the bay, sometimes affects the purity of the water, and there can be debris as well. Rainy season is a good time to stay away, as the silt run-off from the Northern Range can affect the water too. 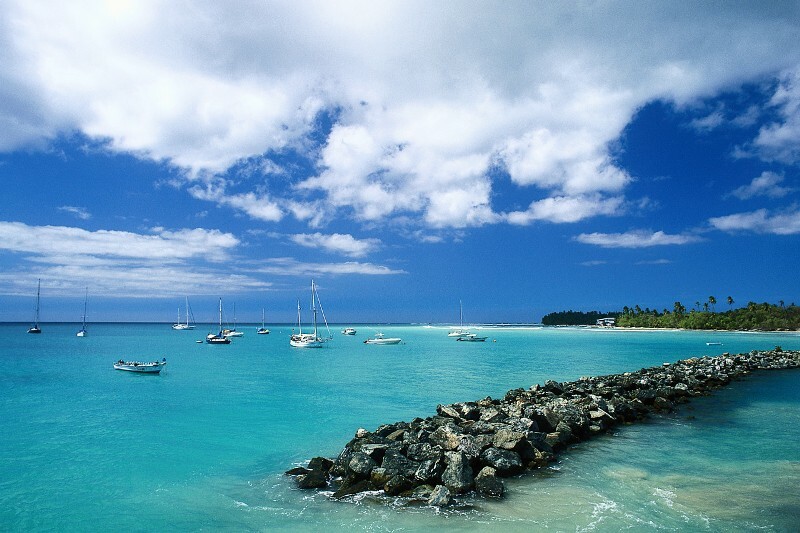 But the waters are calm and shallow so Carenage remains popular as an easy to get to relief from the heat. (Ma-CA-reep) This beach is very small and to get to it, you have to go down quite a few flights of stairs. But the harbour itself is much larger than the beach, and the water is clear and very cold, no matter how hot the day is. There are almost no waves here so it’s perfect for soaking, and the wooded area around the beach have lots of hiking trails. Vendors work above the beach, selling food and drinks every day of the week. The drawbacks are it’s impossible to get to if you don’t have private transport, and there’s a pretty steep drop-off if you swim out far enough, so non-swimmers should stay close to shore. (Blan-SHEE-SHEARS) One of the many party beaches popular with Trinidadians. 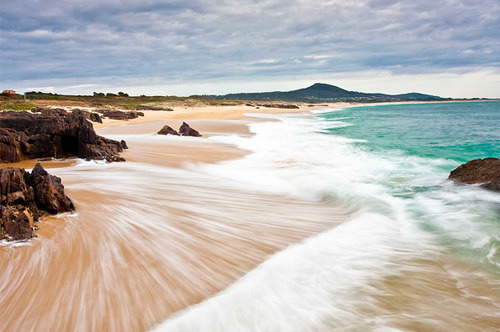 It’s a very long drive, especially if you’re coming from the north-west, but it’s along a lovely coast. People tend to go here less for the swimming, and more for the soaking in shallow waters, and the rivers that empty into the beach itself. Because there are many families camping and liming here on a regular basis, the beach often has a litter problem. It can also get quite rough at certain times of the day, or the year. But it can be beautiful too, as the picture above shows. (Man-za-NIL-ah) Like Blanchisseuse, this beach is party central, especially after Carnival for Ash Wednesday. The long drive is along a coastal road and the many, many coconut trees that line the road and beach are a beautiful and well-known feature. Again, popularity with campers and drunken limers make litter a problem. But there’s lots of shade, rivers and shallow waters to soak in. Just don’t get to far out if you’re not a strong swimmer. (May-YAH-row) Few Trinis have not rented a house or spent time at a Mayaro resort during their life-time. Although the current can be strong and the wind creates huge waves sometimes, this beach also has good shallow spots for bathing, and is great in other areas for surfing. Most of the good spots are taken by resorts, which are sometimes a bit run-down, but if you love nature, you’ll find some here that will take your breath away. Like Carenage, there are also good bathroom and bathing facilities here for a couple of dollars, something missing from the other beaches I’ve mentioned so far. (TOW-CO / Sa-LIB-be-ah)Toco’s rivers are a huge draw on hot days. However, the beaches are beautiful, if often too rough to bathe, and with far too strong a current to even attempt to surf. Salybia is the exception, with crystal clear shallow waters that are good for bathing if you don’t mind getting pulled along by the current a little. There’s a lovely and popular resort that takes advantage of the great views. 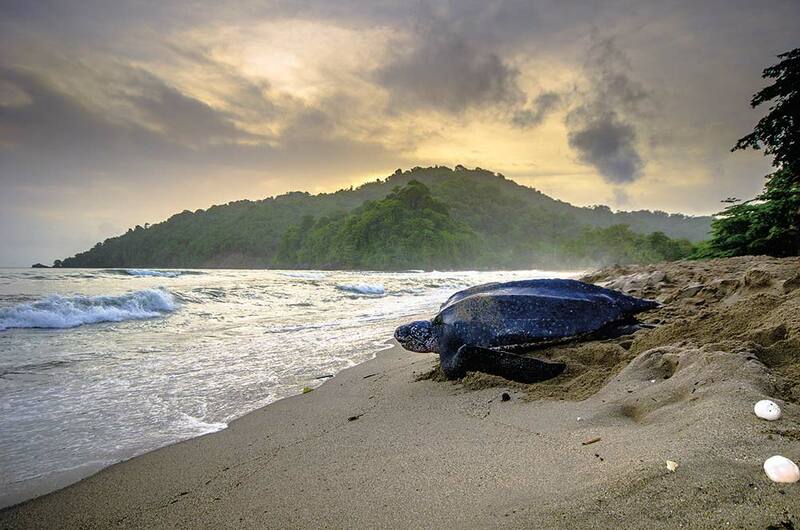 (GRAN Re-VEER)This beach is on this list because it is the second largest nesting area in the world for the amazing leatherback turtle, the largest of all living turtles and practically a living dinosaur. Turtles born here will return here to lay their eggs. Dozens will nest at night during the nesting season, which is March through August. The best time to see them, though, is April to July, during their peak. Tours and guides are easy to find. 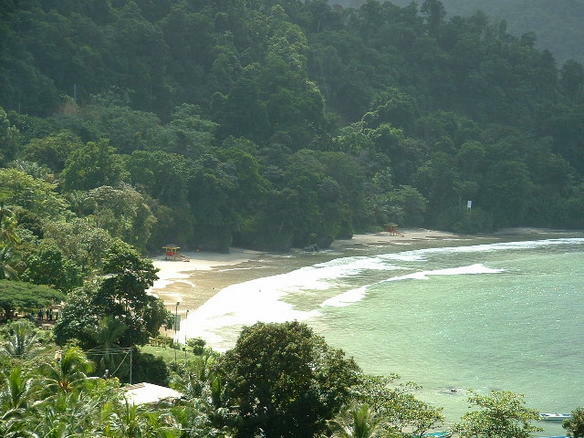 (Las Kuay-vas) The quieter sister to the popular Maracas, Las Cuevas has clear, cold water, and can be stunningly beautiful in clear weather. On bad days, it’s rough, but there are caves to explore and you can always sit in the shallow waters. Here, there are lifeguards and good bathroom facilities as well. 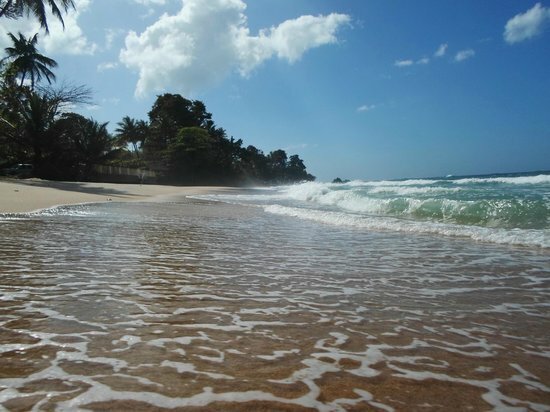 (Ma-RAH-cas) The premiere beach in Trinidad, full stop. 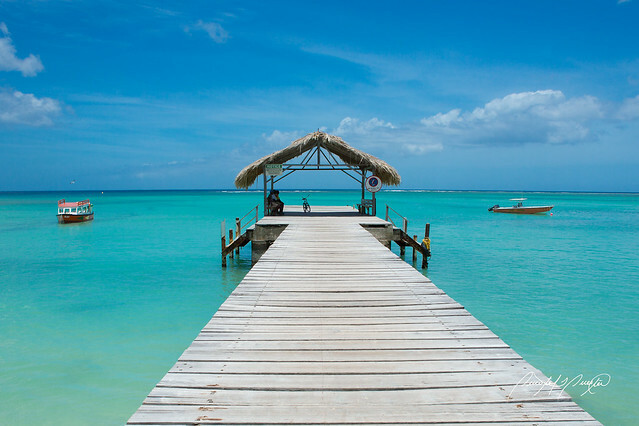 Developed with bathing facilities, parking facilities and vendors galore, the beautiful blue waters and white sand make it the most popular beach destination for Trinis of every stripe. Here is where the popular bake and shark was invented, and the most popular vendor that sells it, ‘Richards’, still has their booth here. Despite the often wind-whipped waters not being so great for bathing, it’s always good for surfing. On holidays and hot days, it can take hours to get here, and even more hours to get out, due to the long, winding, single road that provides access. It’s best to arrive around 8am and leave before 3pm. Bus service is spotty at best, so private and hired cars are the best way to get there. But who can complain when the sea-breeze hits you with a bake and shark in one hand and a beer in the next?